We're Awakening! : "The Best Yet" and "Limbs and Branches" news, tracklistings, etc. "The Best Yet" and "Limbs and Branches" news, tracklistings, etc. Jon Foreman is known as the frontman for multi-platinum selling rock band Switchfoot, but he’s quickly developing a unique following of his own with his solo EPs. All 4 EPs have connected deeply with fans and have earned widespread acclaim from press and media. The music has also connected with TV and Film audiences, with “The Cure for Pain” featured in the season finale of Grey’s Anatomy, and the film Bella. Foreman's next project, Limbs and Branches, releases October 28th and collects the most popular songs from his 4 EPs Fall, Winter, Spring, Summer, and adds 2 new songs. 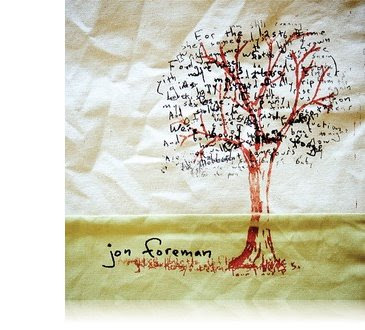 With standard Jewel Case packaging, Limbs and Branches is designed to be the long-running SKU for Jon Foreman’s solo material. As a solo artist, Foreman has sold well over 100,000 EPs. Also on October 28th, Jon Foreman's band Switchfoot will release The Best Yet, their first greatest hits compilation. The Best Yet features the best songs from all their albums, including their smash hits “Meant to Live” and “Dare You To Move”, as well as the radio hits “Stars”, “Oh! Gravity.”, “Awakening” and “This is Your Life”. Also included is the recent Top 20 single “This is Home”, featured in Walden Media / Walt Disney Entertainment’s film The Chronicles of Narnia: Prince Caspian. Over the course of 10 years, Switchfoot has become of the most respected bands in Christian music and is known for creating groundbreaking music that is compelling for both its sound and presence, and socially aware lyrics. With their breakthrough album The Beautiful Letdown, Switchfoot’s music resonated with a broader audience that wanted more than this world had to offer, and saw 2 singles climb into the Top 10 of pop radio. Switchfoot will be on tour this Fall with Third Day & Jars of Clay on The Music Builds Tour. In my opinion, the tracklisting for the Jon Foreman project sounds fairly good enough, although I do wish that "Love Isn't Made" made the final cut. Also interested to find out whether Jon is going to go forward with letting the fans vote on songs to include. That sad, I'm excited to hear the two new songs! 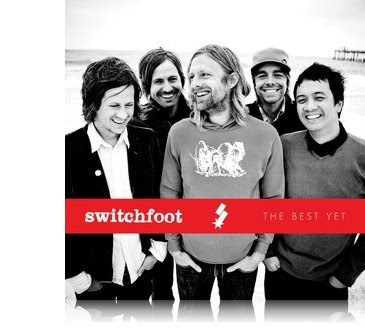 "The Best Yet" Switchfoot compilation on the other hand is slightly confusing. Besides the inexplicable inclusion of "The Beatiful Letdown" (song) and "Concrete Girl," there is also the strange order in which the tracks are listed. "This Is Home" as the lead-off track is slightly bizarre to me, and the only explanation I can think of is that Columbia wanted to use the latest Switchfoot single as a bit of a selling point, and putting it first on the list could help in that regard...? I don't know... haha. I think the album song lists are great. "Beautiful Letdown" is one of my favorites, and I don't really see it as inexplicable. I wouldn't have minded "American Dream" on there, or "24", but overall, I think it's a good list. I'm sure it was hard picking just a certain amount of songs, considering SF has so many great ones! I wish 24 made the list, and its probably more accessible to new listeners. and yeah, that's what I'm thinking... I'm wondering if it's gonna be the radio version or the soundtrack version of "This Is Home"
It should be great for everyone who is a casual or new Switchfoot fan. NWTBH and Only Hope are inexcusable cuts though... and where are "We Are One Tonight" and "Head Over Heels?!"